One in nine people worldwide lacks access to safe drinking water and rising demand is outpacing supply in some parts of the world. 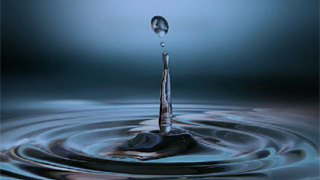 But smart new technlogies can tackle the growing water crisis. There is more than enough fresh water on the planet to meet everyone’s needs, but that water is not available in sufficient quantities where it is needed. As a result, water scarcity is on the greatest challenges the planet faces today. Supplies of safe drinking water are dwindling, and population growth, urbanization and changing lifestyles will only make the problem worse. 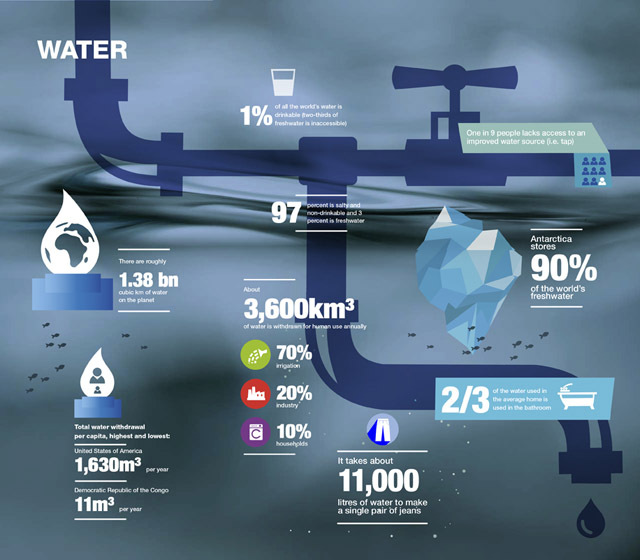 According to one study, by 2030 water supplies will satisfy only 60 percent of global demand, and less than 50 percent in many developing regions where water supply is already under stress. There is no magic bullet, but technologies such as waterless toilets, ingenious water purification systems and water-efficient plants, could play a key role in ensuring that everyone gets access to the water they need. There is a reservoir of water in space that has 140 trillion times more water than the world's oceans, according to Nasa. Water itself does not conduct electricity well but the impurities in it do. Your probability of finding in any glass of water at least 1 molecule of water once drunk by Cleopatra is practically 100%. Water is light turquoise-blue due to weak absorption in the red part of the visible spectrum.